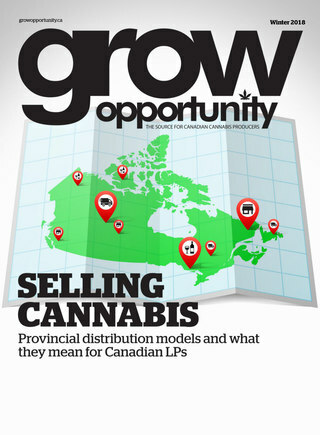 Winnipeg, Man.-based medical cannabis producer Bonify, has teamed up with the Manitoba Liquor and Lotteries Corporation (MBLL) to sell medical marijuana. Bonify said it will be supplying eight different strains of its medical marijuana to licensed retailers in the province once the Canadian government legalizes the recreational market later this month on Oct. 17. The company stated that it will provide customers three product categories which include high THC, CBD and THC combined and a CBD-only category. Bains added Bonify is in advanced discussions with other provinces to supply recreational cannabis and that the company will provide an update on any additional agreements as they happen. Bonify obtained its Health Canada sales license in June 2018 and says it is in the final stages of securing its cannabis oil extraction licenses. The company, which operates in a 325,000-square-foot facility in Winnipeg, also has distribution contracts with retailers in Saskatchewan and an international supply agreement in Germany.